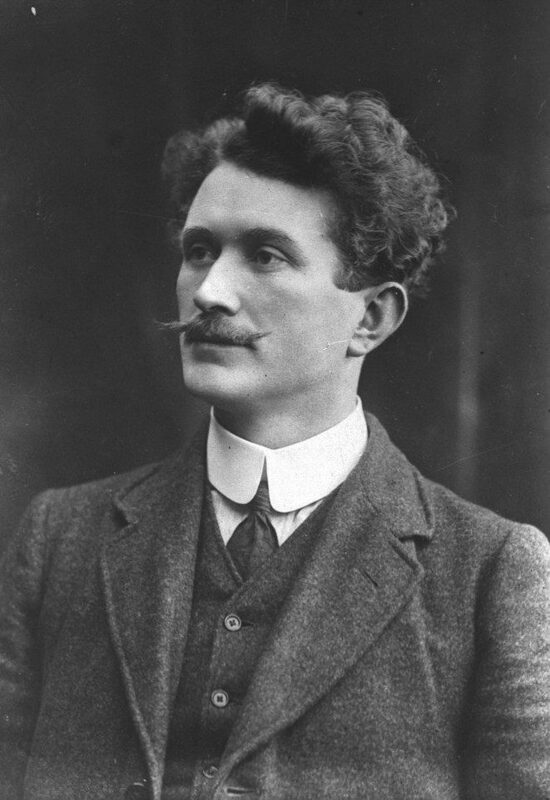 Thomas Ashe loved the outdoor life. From an early age he spent his leisure hours hunting, fishing and playing football with the other children in the neighbourhood. At the beginning of the century Lispole had a very strong football team. They trained and played their ‘home’ games in Brosnan’s field in Foherough. Ashe the teenager trained and played with Lispole. He wasn’t a regular on the team, but when he played, his best position was centre field. Later when in De La Salle training college he played at corner back for the college team. His fine physique and sure judgement made him a formidable opponent. De La Salle Football Team 1907, Thomas Ashe third from left, middle row. In 1907 when Ashe was appointed assistant in Minard he played on and also trained the Lispole team. It was through his involvement with Lispole in County G.A.A. competitions during this period that he became acquainted with Austin Stack. They became close friends. When Ashe moved to Corduff he played football with Lusk and also tried his hand at hurling. Lusk played in the Fingal League with Ashe as their regular midfielder. In the evenings he coached the young boys of Corduff in the finer points of Gaelic football. But his involvement in the Gaelic League and later in the volunteers left little time to devote to games. Home on holidays in Kinard he spent his leisure time rowing and sailing and passed many peaceful hours contemplating the future while fishing off the “Beal”. Another favourite recreation of his was fowling. This was to remain his most lasting pastime and it was also to benefit him later in his involvement with the Volunteers.